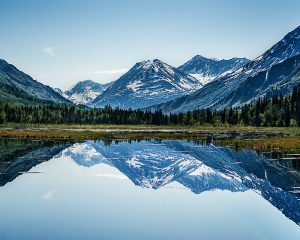 America has more than its fair share of natural beauty, but Alaska boasts some pretty remarkable sights, including snow-capped mountain peaks, calving glaciers, whales of many varieties, and Dall sheep that gracefully traverse steep terrain. 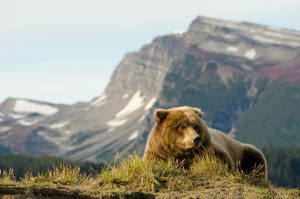 If you’ve always wanted to go on a wildlife safari, Alaska cruises are a wonderful option, the best way to see the state is by cruise ship. Larger vessels have all the amenities and are a fantastic choice for families and seniors. A range of smaller expedition ships offer Alaska cruises with a more intimate and close-up look at the region and include excursions like riding a Zodiac through a glacier field and hiking through a rainforest for bear sightings. You can also combine your Alaskan cruise voyage with an iconic rail journey through the Rocky’s. Get up close and personal with the scenery and wilderness aboard the Rocky Mountaineer. Alaska gets pretty chilly and snowy in the winter so the Alaskan cruise season doesn’t open until the beginning of May and closes at the end of September. June, July, and August tend to be the most popular months for Alaska cruises due to the warmer weather. 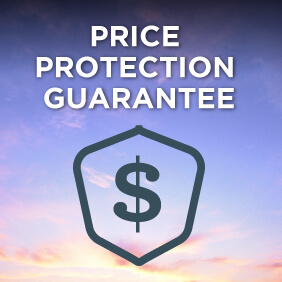 Alaska cruises in April or May and September are often cheaper and the crowds are lighter. Part of your cruise may include shore excursions in the state’s rainforests so be aware that you will experience rainy weather, if even just for a short amount of time. Be prepared and pack a rain hat, waterproof jacket, and even waterproof rain pants if you plan to hike often onshore. You’ll travel a reasonable distance to get to your Alaska cruises. Flights from Australia to Vancouver, a popular embarkation point for Alaska cruises, take approximately 15 hours direct. You may want to spend a few days relaxing in port before embarkation. 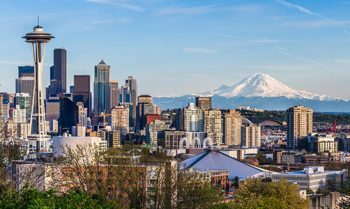 Ports you can embark from include Los Angeles, San Francisco, California; Seattle, Washington; Vancouver, Canada; Anchorage (for Whittier or Seward), Sitka, and Juneau in Alaska. 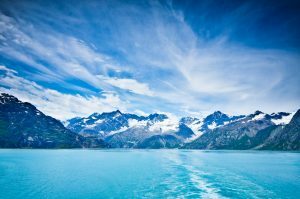 Which Cruise Lines Offer Alaska Cruises? A lot of terrific cruise lines sail Alaska between May and September, but the two mainstays are Holland America and Princess Cruises. Royal Caribbean cruises and Celebrity Cruises also offer some fabulous itinerary options. You will also find in addition to cruises, these cruise lines also offer land/cruise tour packages so you can see some sights on land, like Denali National Park, before or after your cruise. Contact us for more information on Alaska cruise tours. While these four cruise lines offer numerous Alaskan itineraries, there are so many more that cruise the icy straits. 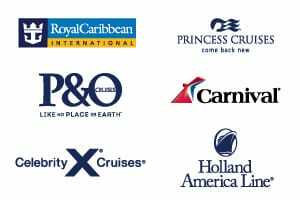 Check out Carnival Cruises, Disney Cruises, or Norwegian Cruise Line. Plus, for a little bit of luxury, why not peruse Cunard cruises, Azamara cruises, Oceania cruises, Regent Seven Seas, Seabourn cruises or Silversea cruises. View our full range of 2019 cruises in Alaska or the emerging 2020 Alaskan voyages and 2021 Alaskan voyages. Looking for an immersive Alaskan experience? Have a look at one of Princess Cruises Alaska Cruise Tours. 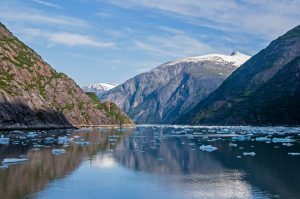 These itineraries include a land tour component at either the beginning or end of the cruise which takes you into the beautifully rugged landscape of Alaska and includes accommodation and Princess’ exclusive Wilderness Lodges. 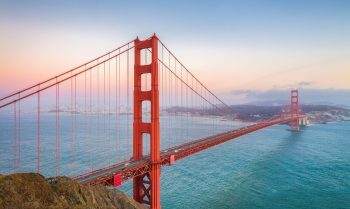 You’ll find a variety of 7 night, 8 to 10 night, and 14 night or longer voyages that call on Alaskan ports, the most popular and abundant being cruises from Vancouver, however you will also find cruises from Seattle, Los Angeles or even San Francisco to Alaska. 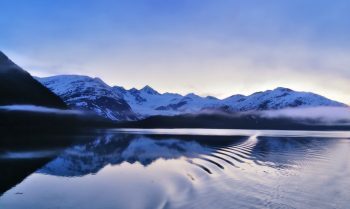 To see a little bit more of the Alaskan coastline you can also embark on one way cruises from Anchorage (for Whittier) or one way cruises from Seward (or cruise one way into Whittier or Seward). There are budget and luxury options plus itineraries for families and expedition-style cruises for those that want a more active adventure to see the area’s wildlife. No matter the desires, there is an Alaska cruise itinerary to suit every travellers needs. Inside Passage Itineraries: Alaska’s Inside Passage is a magical place to cruise. Your ship will thread its way through calm waters between a patchwork of islands that span southeast Alaska in the United States through western British Columbia in Canada. Itineraries avoid the open ocean so it’s incredibly rare for anyone to suffer from seasickness. You’ll visit small communities, hike through national parks, and visit massive glaciers. 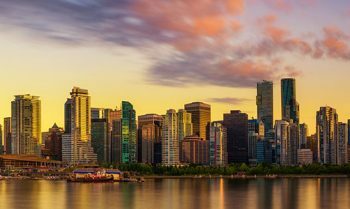 Voyages are usually seven-night round trips out of either Seattle or Vancouver. View Inside Passage cruises. Gulf of Alaska Itineraries: You can also pick an itinerary that cruises between Seattle or Vancouver and Seward/Whittier in Alaska. 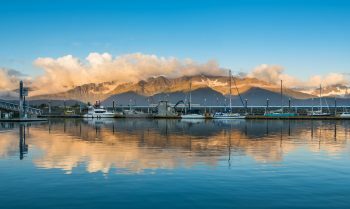 The ports of Seward and Whittier feed tours into Anchorage, an inland Alaskan city that you can reach by bus, car, or train. You’ll most likely visit places like Ketchikan, Juneau, Skagway, and Sitka. It’s also possible to add in a few Inside Passage stops during the voyage. One thing that’s special about Alaska cruises is the opportunity your ship has to offer “scenic cruising” past landmarks like Glacier Bay, Tracy Arm, Hubbard Glacier, and Sawyer Glacier. You won’t disembark the ship in these areas, but you will have plenty of time to sit on deck or on your private balcony. From there you can watch glaciers calving; birds flying close to shore; and whales, sea lions, dolphins, and harbor seals sharing the passageway with your ship. Icy Strait Point on Chichagof Island is an interesting port because it’s actually owned by Alaskan Natives. Many of them are Tlingit, the indigenous people of the Pacific Northwest Coast. The local village preserves many of the traditions of years past and there is a museum and shops (all owned by Alaskans). Excursions include everything from the ZipRider Zip Lane to kayak adventures to ATV expeditions and walking tours through the forest. Humpback whales can often be sighted in the strait. In 1925, President Calvin Coolidge protected Glacier Bay by declaring it a national monument. Decades later, President Jimmy Carter expanded the protected area and created Glacier Bay National Park and Preserve. Today it’s a UNESCO World Heritage Site and a highlight of many Inside Passage cruises. No roads lead to the park, so you must arrive by boat or air. Some cruise ships simply cruise the area while others, usually the smaller ships, visit the bay and stop for Zodiac tours and other adventures like kayaking, rafting, and fishing. The park is home to many animals like wolves and wolverines, American black bears and moose, mountain goats and coyote. In the water you’ll see humpback, Minke, and killer whales along with harbor seals and Dall’s porpoises. Do you have your heart set on seeing a glacier calve (when a chunk of the glacier falls off to form an iceberg)? If so, Hubbard Glacier in east Alaska may be your best bet. It’s not uncommon for visitors to see icebergs the size of 10-story buildings calve off the glacier. It’s unlike any other experience you’ve had. Your ship’s captain will cruise slowly here so you can take it all in and watch for whales, harbor seals, and otters. Juneau, Alaska: Juneau is an interesting place for many reasons, but it’s best known as being a city with no roads leading to or from it. The terrain is just too rugged. Instead, visitors arrive by cruise ship, ferry, or personal watercraft. Despite being cut off from the rest of Alaska, it is the state’s capital. Helicopter sightseeing is one of the most popular excursions out of Juneau. Why? Because from this departure point you can easily get a bird’s-eye-view of truly remarkable sights like Hebert Glacier, Glacier King, the Mendenhall Glacier, Mendenhall Towers, and Devil’s Paw. Skagway, Alaska: Skagway, in the Yukon Territory near the Canadian border, is seeped in Gold Rush history. Gold was found in the nearby Klondike region of Canada in 1896 and that brought prospectors to Skagway in droves. While there are less than one thousand residents of the city today, there were more than 8,000 during the Gold Rush years. When your cruise ship calls on this port, you can learn a bit about local history and then focus on the incredible natural beauty of the area. Most visitors head up to Montana Mountain to snap an amazing panoramic that even includes a glimpse of Carcross Desert, Earth’s smallest desert. Alternatively, you can board the White Pass & Yukon Route Railway for a guided tour of the scenic beauty of Skagway. Other pursuits include exploring Klondike Gold Rush National Historic Park, river rafting and catamaran trips as well as wildlife viewing by boat or canoe through Alaska’s beautiful rain forest and fjords. Many make a trip out to Davidson Glacier. If you want to see bald eagles in all their glory, visit the nearby 48,000-acre Chilkat Bald Eagle Preserve. When the day is done, head to Skagway Brewing Co. and knock back a few craft beers in this pub that can trace its roots back to 1897. Ketchikan, Alaska: Nestled on Revillagigedo Island, Ketchikan is one of the larger cities in Alaska with 8,000 residents. It’s about 235 miles south of Juneau and Seattle, Washington, is about 700 miles to the south. Ketchikan Creek flows through the town, which is surrounded by Tongass National Forest. If you plan to fish once during your cruise, make sure to do it in Ketchikan where the fish always seem to be biting and the scenery will make you want to quit your job and move your family to Alaska. If fishing isn’t your thing, take a floatplane or catamaran out to Misty Fjords National Monument. Your ship may also spend time sailing this area. If so, you’ll pass soaring mountain cliffs and glacial valleys. And, keep your eyes peeled for waterfalls, some with water falling from 1,000 feet. The Totem Heritage Centre is also located in Ketchikan and it features a collection of 19th-century totem poles and other traditional arts from Alaska’s indigenous population. Weather is unpredictable, especially in Alaska. Rain comes and goes quickly in the spring and summer. Don’t let a few drops stop you from enjoying a shore excursion. Just bring a rain hat and umbrella or even a rain slicker and waterproof rain pants if you plan to do some hiking in one of Alaska’s rainforests. Also bring good walking shoes or hiking boots and bug spray. Dress in layers. The day might start off cool but will almost always warm up. Bring a backpack with you on shore excursions so you can store the rain jacket or sweater you peel off at midday. Alaska is a huge state and you’ll only see a sliver of it on your cruise. Plan a pre- or post-cruise land stay so you can see even more. If you are prone to seasickness, you’re better off booking an Inside Passage voyage and avoiding a Gulf of Alaska itinerary, which sails through more open waters. If your ship doesn’t provide complimentary binoculars then bring your own. You won’t want to miss up-close looks at whales and dolphins in the passage or bears walking the shoreline. You may think of Alaska as a rainy, cool destination but you should still wear sunscreen. Summers are bright (daylight hours can last until 9 p.m. or later) and the sun can be strong.